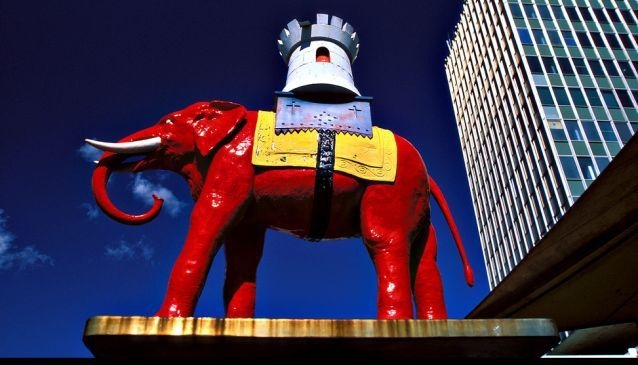 When you emerge from Elephant & Castle Tube station you're greeted by several things: the first being a not-too-overly-large red elephant standing on a tall pole. Upon its back sits a castle that looks like the rook from a chessboard. Take a few more steps and the cacophonous hum of cars is paired with the area’s monstrous gyratory system; a groaning roundabout choked with stuttering streams of traffic interspersed with pedestrian crosswalks. All this is overshadowed by the Strata building, a colossal residential structure – with three enormous turbines in the roof – that rubs shoulders with other party members of the London skyline. Meanwhile, the shopping centre peers out miserably from its confines, a few flickering neon signs in windows, peeling paint on adverts that have been ignored for years cry out for attention and, blundering up into the sky like a swelling on skin, another rain-cloud-coloured tower block sits in the background. Now that we’ve painted a picture of the Southwark borough in London, we’d kindly like you to forget it. Okay, the face of E&C with its twin housing estates, Heygate and Aylesbury, might resemble that of someone who’s about to be sick (explains why they planted a forest in front of Heygate to seal it from view) but look under the skin and historic, cultural London awaits. In the 1800s a city-wide cholera epidemic began consuming London. Thousands lost their lives, room in London graveyards began to run out and, before long, corpses literally started filling the streets. To counter this, a purpose-built train was installed and would pick up coffins at the Necropolis Railway. The station was fully equipped with apparatus capable of handling the movement of coffins on a daily basis. That meant large lifts which could transport coffins from the ground floor to the carriages. The ‘dead meat train’ from the terminus of the dead would carry corpses to Brookwood, a cemetery in Surrey. Such a location was chosen because it was both accessible to the deceased’s families, but far enough away from London for its people to be instilled with better hygiene. En route to Brookwood, the bodies could travel first class for £2.10 should the families deem necessary (where they’d receive extra leg-room and a quieter, more spacious travelling area). The terminus of the dead was located just around the corner from one of the busiest train stations in London, London Waterloo. This part of E&C really does require you to ‘go under’ if you’re to escape the leaky, grey topsoil. 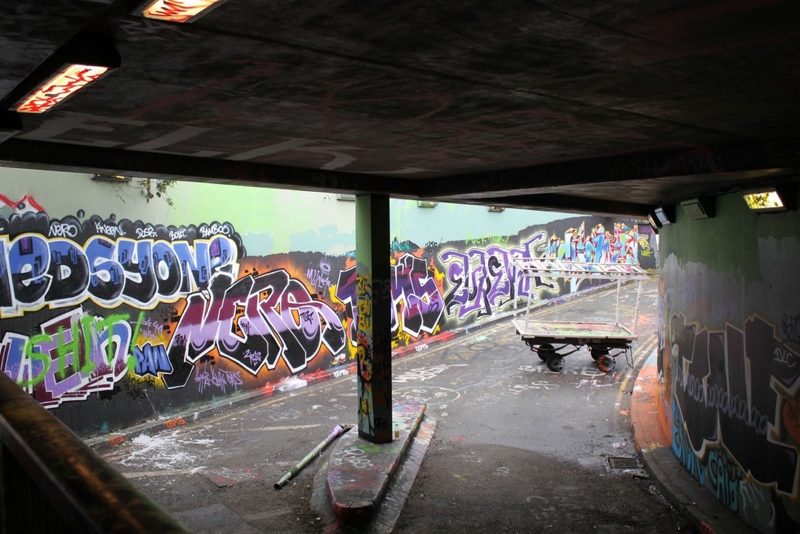 Descend a gently-sloping ramp into the heavily shaded tunnel and you’ll find yourself surrounded by some of London’s most vibrant and diverse graffiti. 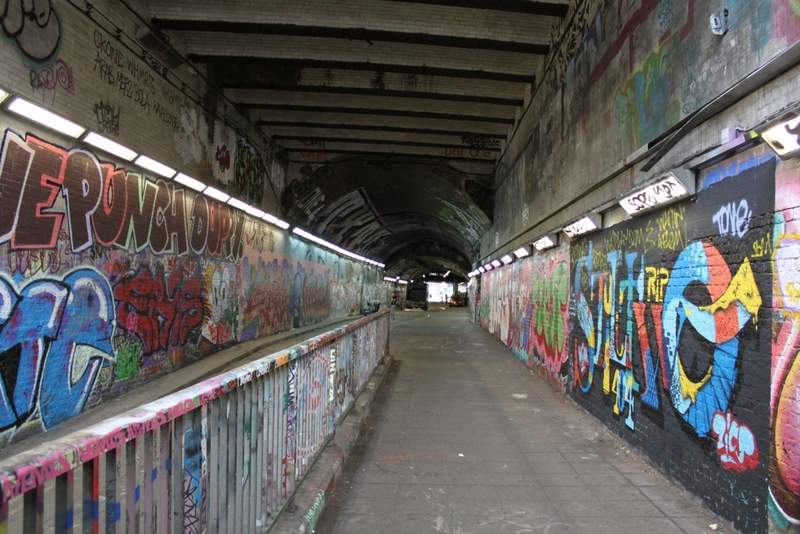 In 2008, the famous Bristolian graffiti artist, Banksy, organised the Cans Festival which was held in this tunnel. It attracted enthusiasts and artists alike in droves. In 2009, a local theatre company, Punchdrunk, collaborated with the nearby Old Vic Theatre after they hosted a series of performances in the subterranean caverns. A year later, the Old Vic took the reins themselves and organised further theatrical events, pop-up installations and film screenings. Any other day, you’ll probably find the tunnel occupied by one or two vans full of graffiti equipment and a couple of guys laying pieces on the walls. It’s also a popular hangout for skaters and BMX bikers. If you pay a visit here, be mindful of photography; make sure you ask the artists before taking a photo of them or their work. In 2011, there was a summer of riots in London. Violence in the streets was aggressive and intent, forcing hundreds of riot police to take action. Consequently, there was only a handful of serious incidents involving death and injury. However, the riots that took place at St. George’s Circus made 2011’s events seem more like a pillow fight. Dubbed ‘The St. George’s Fields Massacre’, it happened on the 10th of May in the late 1770s. 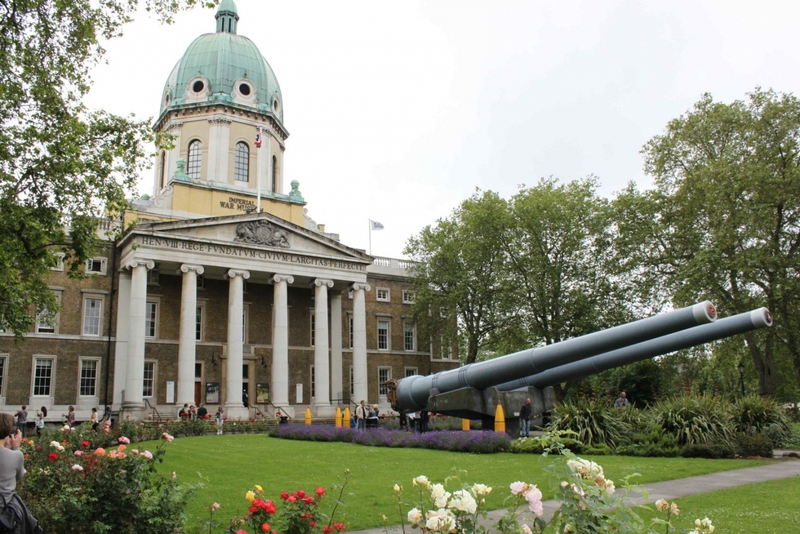 Six people were fatally wounded by gunfire from the king’s soldiers. The cause? A radical English journalist and politician, John Wilkes, wrote criticising remarks about the then king, George III, and was thrown in jail. The mob filled the streets and marched from St. George’s Circus all the way to Westminster, a couple of miles away.